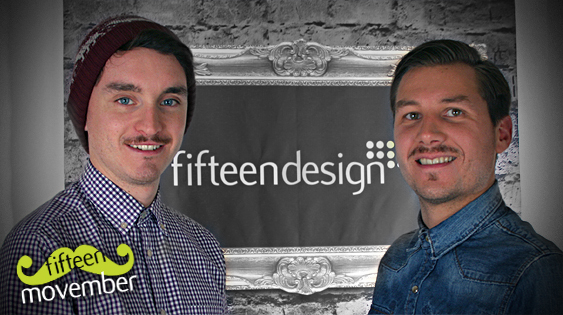 Graphic Design experts, Fifteen Design, have reached day 22 of Movember! The lad’s tashes are coming along nicely so we thought we’d give you an update on how they’re doing! Remember, we’ve still got over a week to go before the guys finally shave off the facial fuzz so please keep supporting this great cause! Fifteen Design believe in a thing called love! Question of sport? Fifteen have the answer!